Dentist and Owner, Dental Care & Dental Implant Center, President and Chief Executive Officer, Williams Research Group, Past Chairman and Chief Executive Officer, WIPSS Products, Inc.
FOR DENTAL IMPLANT EXCELLENCE WHEN EXPERIENCE COUNTS. 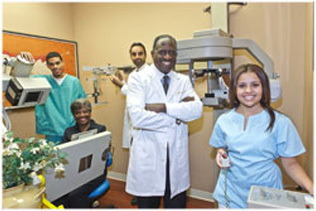 Dr. Williams graduating from Temple University School of dentistry has practiced the skills of this fine profession for over thirty years. 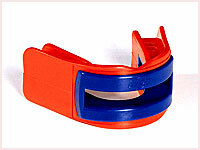 Developing new techniques and research in the specializing fields of implantology, jaw joint pathology, headaches and facial pain, and brain concussion, he also invented and patented the widely used and user friendly WIPSS jaw joint protector for sports. Dr. Williams has lectured Nationally and Internationally on "The Prevention of Jaw Joint Injuries and Concussions" in Contact Sports.